Orthodontic treatment is necessary to correct teeth that are crooked, crowded, overlapping or to fix problems like jaw displacement, teeth grinding or teeth that do not meet properly. Our orthodontic specialists have completed training with POS (Progressive Orthodontic Seminars) and have more than a decade of experience in providing safe and effective orthodontic treatments. 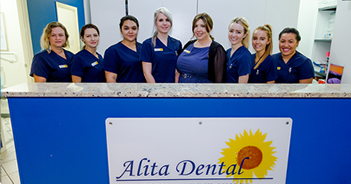 Alita Dental can provide you with a choice of either fixed or removable appliances, according to your individual need and preference. 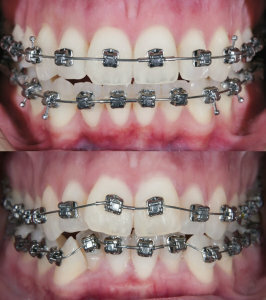 We also offer either visible or invisible orthodontic devices. At Alita Dental, we have provided orthodontic solutions for patients as young as six and as old as 84. Once you have discussed your needs with your dentist, we can guide you to the best orthodontic solution for your lifestyle and your budget. We provide a complimentary orthodontic consultation for all prospective patients and supply complimentary electric toothbrushes to assist in ensuring a high standard of oral hygiene throughout treatment. Why not book an appointment today to discuss your options?